For T61 T61p R61 R61i. for IBM Lenovo Thinkpad T61 R61 44C0557. NEW CPU Fan Heatsink 14.1" Wide Discrete. Discrete only. 1 x CPU Fan with Heatsink. for LENOVO P/N: 44C0558. It can be used interchangeably. For IBM Lenovo ThinkPad T61 T61P R61 W500 T500 T400 3 pin. It can be used interchangeably. Hope you understand. New CPU Cooling Fan. 1 x CPU Cooling Fan andfree thermal paste. Info: 3 pin. This is our SOP, for us to be certain and for record purposes. For IBM Lenovo ThinkPad T61 T61P R61 W500 T500 T400 3 pin. 1 x CPU Fan. Info: 3 pin. This is our SOP, for us to be certain and for record purposes. We might require you to send us photo/s of the item received and also your original item so we can compare and conduct necessary actions. P/N:44C0825 44C0826 42W2460. New CPU Cooling Fan for lenovo Thinkpad T61. 1 x CPU Fan with Heatsink. Laptop Keyboard. Laptop Fan. Laptop Hard Drive Cover Caddy. new arrival. Power connection: 3pins. Since it was not wrapped individually in the OEM box the fan may have small scuffs/scratches on the aluminum housing. 3 Pin CPU Cooling Fan For IBM Lenovo ThinkPad T61 T61P R61 W500 T500 T400 ! IBM Lenovo ThinkPad T61 T61P R61 W500 T500 T400. 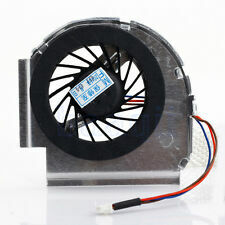 CPU fan type: Brushless Motor. 1x CPU Fan. It protects your valuable data by keeping your CPU cool. Power Connection: 3 wires/ 3 pins. Detail Image. Lenovo Thinkpad T61p. Lenovo Thinkpad T61. Lenovo Laptop Cooling Fan. Single fan only. Machine Type For use in the following models. 100% brand new and high quality Trade-quality at affordable price 42W2462, 42W2460, MCF-217PAM05 built Dimensions: approx. 61 x 63 x 11 mm Suitable for Lenovo / ThinkPad T61 T61p: 42W2462, 42W2460, MCF-217PAM05 package content:1 x CPU Cooler Note:Light shooting and different displays may cause the color of the item in the picture a little different from the real thing. The measurement allowed error is /- 1-3 cm. Brand Unbranded MPN Does not Apply UPC 4894462302538 EAN 4894462302538 EAN 4894462302538. Compatible Part Number: 42W2462. Compatible Model Number: 14" IBM Lenovo Thinkpad T61 T61p series. Give us a chance to make things right for you, and we will do our best to assist you solve the issue. Model: 42X4685. We strive for excellence and appreciate the. On a scale from 1 - 10, with 10 being in new or excellent condition, this item is rated as an8. Let us earn your loyalty! stands to reason that issues will arise occasionally. Used Grade B This Grading Show That The Item Is In Regular Condition For Its Age And Will Show Moderate Signs Of Wear. We Are Dedicated To Provide You With The Best Service Available, Before, During And After The Sale. For IBM Lenovo Thinkpad T61 T61P fan heatsink 42W2820 42R9982 14.1. FRU: 42W2820 42W2822. Original CPU Fan with Heatsink Assembly for IBM/Lenovo Thinkpad T61 T61p 14.1" standard screen(4:3 ratio) and 15.4" widescreen series. New Genuine For Lenovo Thinkpad T61 T61P CPU Heatsink Fan 44C0825 44C0826 14.1"
P/N: 44C0825 44C0826. For Lenovo Thinkpad T61 T61P CPU Heatsink Fan 14.1". The CPU fan features efficient heat dissipation and low noise. Keep your computer cool and comfortable on your lap or at your desk with this CPU fan. · Compatible models with:For IBM Lenovo Thinkpad T61 T61P R61 R61I 14.1", Integrated Graphics. The four main fan original factory for 3 ·We have more models available to choose from. Here are two different fans/heatsinks fit for those laptop models. PN 44C0826. Fit IBM/Lenovo thinkpad T61 14.1 wide serise laptop. This Fan only fit T61 14.1 wide screen and Integrated display laptop. FRU:44C0825 Check it by Lenovo. 44C0825 44C0826 Integrated Graphics. · Compatible models with:For IBM Lenovo Thinkpad T61 T61P 14.1". The four main fan original factory for 3 ·We have more models available to choose from. Here are two different fans/heatsinks fit for those laptop models. Compatible models with:For IBM Lenovo Thinkpad T61 T61P 14.1", 44C0557 44C0558 Discrete Graphics. The four main fan original factory for Here are two different fans/heatsinks fit for those laptop models. MPN: 42w2460 42w2462. Model: T61. Ibm Lenovo Thinkpad T61. 1 IBM T61 Laptop CPU Fan Cooling Heatsink. Type: Laptop CPU Fan Cooling Heatsink. Also you will find all the parts that you may need for your computer, laptop from motherboards to power supplies. 42W2461 42W2460 Lenovo CPU Cooling Fan Heatsink Assembly T61 T61p R61 (A12) Condition is Used. Shipped with USPS First Class Package. Integrated Heatsink Fan Compatible with: Lenovo Thinkpad T61 T61P Brand: Lenovo Color： As shown in figure P/N： 44C0826. Compatible Modles:IBM Lenovo T61 T61P series. And hope to see you soon. Part Number:MCF-217PAM05. But the color and brightness may differ a little for the difference of shooting facilities, computer display screens or other factors. NEW/Orig f.IBM/lenovo thinkpad T61 T61P CPU Heatsink Fan 44C0825 44C0826 14.1"
PN 44C0826. Fit for IBM/Lenovo thinkpad T61 14.1 wide serise laptop. This Fan only fit T61 14.1 wide screen and Integrated display laptop. FRU:44C0825 Check it by Lenovo. Compatible Part numbers: FRU P/N: 44C0557. LENOVO P/N: 44C0558. LENOVO IBM Thinkpad T61 R61. Status: New. Due to the secure reasons. It will not reflective to the total price you paid or the market value of the product. Compatible NO. 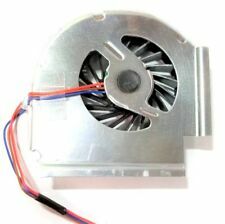 1pcs CPU Fan For IBM Lenovo Thinkpad T61. Part Number: 44C0557. Remark: Tested to be 100% working properly. If you buy the wrong products, plese inform us as soon as possible. Conditon: NEW. IBM Thinkpad T61. IBM/Lenovo Thinkpad T61 T61p 14.1" standard lcd screen. This item is for 1 pcs Cooling Fans & Heatsink. Condition: Genuine Original New. All other countries. Netherlands . Australia . LenovoPart Numbers: 42W2461. FRU P/N: 42W2460. IBM ThinkPad T61. IBM Thinkpad Laptop This item is for. (see picture for detail). Also compatible with 42W2462 42W2463. Compatible Models: T61, R61. Lenovo Part Numbers: 42W2461. This item might not work to ALL series. It will not reflective to the total price you paid or the market value of the product. LenovoPart Numbers: 42W2461. FRU P/N: 42W2460. IBM ThinkPad T61p. IBM Thinkpad Laptop This item is for. (see picture for detail). Compatible Models: T61, R61. Lenovo Part Numbers: 42W2461. This item might not work to ALL series. It will not reflective to the total price you paid or the market value of the product. You may also like. · If you buy the wrong products, plese inform us as soon as possible. · Defective products can be changed during the warranty. Compatibility: For Lenovo ThinkPad T61 T61P R61. 1 Piece CPU Fan. - Well-balanced cooling performance provides fin optimizations with perfect balance between high and low speed operations. - Wide-range fan with unique wave-shaped fans design for excellent airflow. High Quality Laptop adapter, notebook adapter, New Fan IBM Lenovo T61 14" wide screen 44C0557 44C0558. Compatible Part No. : 44C0557, 44C0558, UDQFRPR68FFD. IBM T61 14.1" wide screen FAN. Laptop adapter, notebook adapter, adapter, wholesalerzone.